We all know the struggle of staying healthy. With the nature of our fast-paced lives, it can be hard to prepare your own food and ensure that what is going into your body is good for you! But it is possible for you to eat out and still be healthy while skipping the plain old salad! 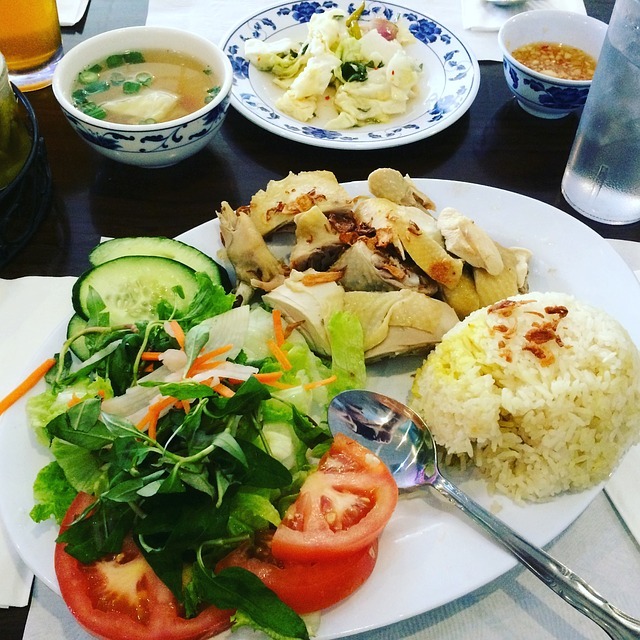 With a wide variety of dishes, Vietnamese cuisine definitely has some great alternatives for those looking to watch their diet. Here are some healthy Vietnamese dishes you must try if you’re looking for a healthy alternative, or if you just want to enjoy your Asian food knowing it’s good for your body! With the French baguette as its base, the banh mi is a great Asian take on a traditional sandwich. With a variety of fillings such a cucumber, picked carrots, onion, cilantro, and jalapeno, it provides you the goodness of a salad fused with a unique Asian taste. You can choose your meat filling – some popular options include grilled pork and fish patties. The banh mi is a great way to stick to a healthy diet while enjoying Asian cuisine! Rice paper rolls are a great way to stick to your diet. If you’re trying to cut down on carbs, the rice paper wrapping is a great alternative to traditional wraps. These rolls often contain unseasoned prawns, vermicelli noodles, and salad. With healthy fillings such as carrot and zucchini, you can indulge in rice paper rolls without it being your cheat day! They are often served with sauce on the side, so you can control how much you use. Here’s a twist on the traditional salad – the Vietnamese noodle salad. This delicious dish contains rice vermicelli mixed with healthy vegetables such as bean sprouts, carrots, and cucumber. Rice vermicelli is a great low-carb alternative to other noodles due to its thin strands and its cooking method. The vermicelli is simply steamed, then added with the other contents of the salad. It is often served with a meat topping such as grilled pork. With its low content of oil and avoidance of frying methods, Vietnamese noodle salad is healthy and tastes great! You don’t have to cheat your diet to enjoy good Asian food! With these great Vietnamese dishes, you can enjoy the goodness of a healthy meal while trying something different. Just remember to watch your portions!